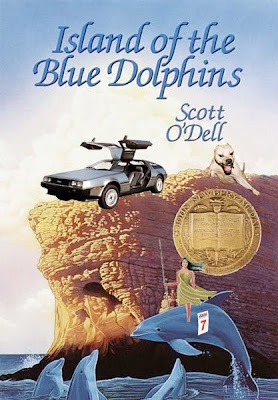 Dog fighting, dolphin racing, DeLoreans! What more could you ask for in a Newbury Award winner? The book got off to a slow start: the Aleuts come to hunt otter, they kill off most of the tribe on the island, blah blah blah. But when Karana finds her brother leading a dog fighting ring, things got really interesting! (And as an aside, I read on Wikipedia that this book is what inspired Michael Vick. And if Wikipedia said it, you know it's true.) I was sad when the dogs turned on the brother and killed him, though, and a little more detail about how he died would have been welcomed (but this is a children book after all.) The author made up for it when Karana started racing dolphins around the island--I don't know how she held on underwater to avoid getting eaten by the sharks, but I couldn't stop reading! My heart was beating fast during that part. And the end was amazing! I mean, all along I hoped she would get rescued but I never dreamed a DeLorean would come from the future to take her back to the mainland to join the rest of her people. I can't believe I didn't read this in 4th Grade! I'm sorry Mrs. Gaske! Up next: A Wrinkle In Time. Well the World Cup is here again. 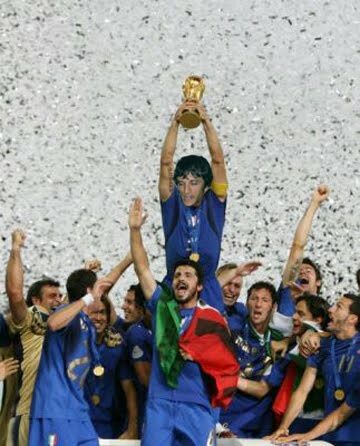 After helping Italy to win it all in 2006, I've since retired from international football (they finally figured out I'm not actually Italian.) 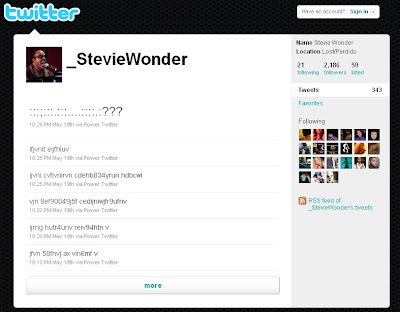 This memory is right up there with all my Olympics appearances, though. What a summer! Over the course of the last week I found a total of $3.29 on the ground. I have no problem stooping over for some change. And you know I stopped in the middle of a jog to pick up those three $1 bills I saw just lying on the sidewalk. Recently a number of friends have asked me why I don't respond to their text messages. Apparently on a number of critical occasions they asked important questions like, "WHT R U UP 2?" The reason: I specifically turned off texting on my phone (and apparently if you text me it doesn't bounce back and say I didn't get it.) You see, I have an iPhone and while I don't necessarily mind paying $30 for unlimited access to the internet on my phone, there's no way in hell (one of the approved swear words in the scriptures) I'm paying an additional $5 a month for a texting plan. Email me, folks. I have an iPhone. Net: $5 per month x 12 months of owning my iPhone = $60. This weekend for my anniversary gift to Robin (three years, BAM!) we saw Cirque du Soleil's show, Kooza. The tickets weren't cheap but I don't mind paying good money to see a great live performance. What I do mind is paying $15 to park. So, with a little help from Google Maps, I found free parking in a nearby business park. The only problem: it was raining really hard a half hour before we got there and I didn't think I would get away with making us (read: Robin) walk from a business park to the circus. Luckily, it changed from a steady downpour into a light drizzle just in time. Rain, you almost cost me $15! A few weeks ago I bought a case of delicious San Pellegrino aranciata from Costco. The next week the monthly Costco coupon book came in the mail and of course there was a $3 off coupon. I'm sure you can guess what I did. I went back to Costco, bought the aranciata with the coupon, and returned it on my way out with the original receipt. I still had the first unopened case at home, but this method is much more convenient than re-buying it and returning the first one. The Mariners stink so to get people to come to the games they have this promotion about four times a season where they give away nice bobbleheads for free. Of course you have to get there early and be one of the first 20,000 fans, but it's worth it. So we bought some cheap $7 outfield tickets and went to the Griffey bobblehead game. We each got a bobblehead and the next day I posted one on Craigslist. Bam, someone bought it for $20. You do the math: $20 bobblehead - $14 tickets = $6 net to watch a baseball game. And with an extra Griffey bobblehead to spare. Can't beat it. Net: $6 plus baseball game for two. Our cable bill is way too high. But I guess that's what you get for having the convenience of DVRing Roseanne and Fresh Prince of Bel-Air reruns on Nick-At-Nite. So I found that if I call to cancel our cable, Comcast will offer me a discount of about $40 per month for six months. They won't ever extend this to a year, but I just call back every six months and they give me the same discount, no questions asked. Eat it, Comcast. Net: $40 per month x 6 months = $240. The other day I bought an Old Navy t-shirt as a gift for someone. It cost $10.50. It wasn't really a bad deal but it bothered me that I paid full price. When I bought it, Old Navy gave me a coupon for 10% off my next purchase. So a few days later I went back to re-buy the same shirt with the coupon and return the first one. Only this time they had a buy-one-get-one-free deal. You can't say no to that. So I bought a shirt for me for 17.50, got the 10.50 one free, got 10% off, and returned the first 10.50 shirt. Some how it came to 5.75 for both after I returned the first one. Net: Not sure, but definitely in the bonus. Gap lets you do a price adjustment for items purchased within the last week if the price goes down. (Much more convenient than returning and re-buying.) So, recently I used some promotional rewards certificates to buy Robin some sweaters. The next week the sweaters went on sale and when I did the price adjustment, they ended up paying me about $20 back. The math is fuzzy on this one, but I promise you this really happened. Net: Not sure, but I'm pretty sure I got paid to take sweaters off their hands. Conclusion: Maybe I am a cheapskate. Text me if you agree.